Strictly personal, has a high value. 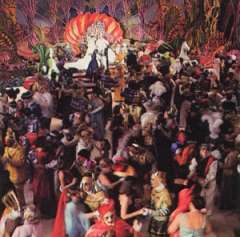 Allows you to go to the bal masqué of the krewe who invited you. Some time ago, they were printed in Paris ! Never refer to it as a "ticket". Last day of the carnival, before the Lent season (fasting period). 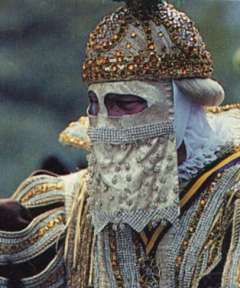 Masked bal, reserved to the members of the club ("krewe") and to their guests. La "Royalty" (the King, the Queen, the pageants and the Dukes) of the club for the coming year are introduced at this occasion. Scenes are played on the chosen theme. From the Latin "Carnivale" : "Farewell to the flesh". Period beginning on January 6th, Twelfth Night and Epiphany celebration, and ending on midnight, Mardi Gras, right before the Lent. The equivalent of the "Galette des Rois" in Europe. But here, the one who finds the "bean" (a plastic figurine) must throw the next party or at least offer the next king cake ! And actually this pastry is served until Mardi Gras, not just one day like in Europe. Generic term to designate all the organizations (clubs) of Carnival in New Orleans. Group of black men who represent the Amerindians. Their costumes are magnificent, highly colored with a lot of pearls and feathers. 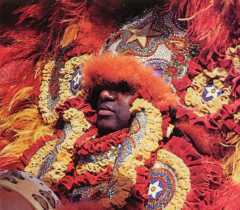 The most famous tribes are the Tchoupitoulas, the Pocahontas and the Magnolias. Formerly the symbol of the last flesh eaten before the fasting season of the Lent. 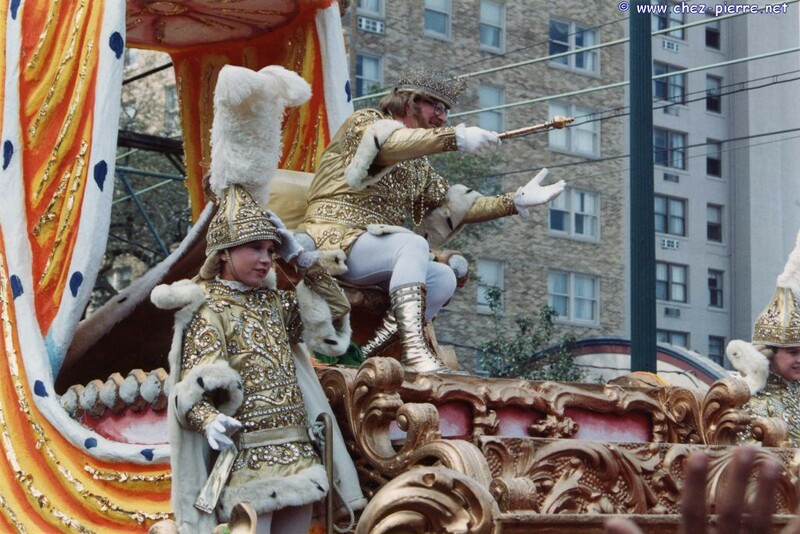 The krewe of Rex used to present a live one in its parade, but now it's a fake one. Still one of the symbol of Mardi Gras. Absolute chief of each krewe. Photo : Linwood J. Albarado Jr.
Aluminum coins presenting the krewe symbols on its face and the theme of the year on its back. They were introduced for the first time in 1960 by Rex, "King of Carnival". 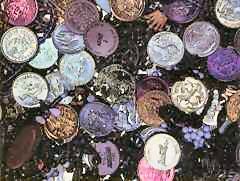 Every year there are different versions of them, in various colors and even metals, which are collected and can be of quite a value ! 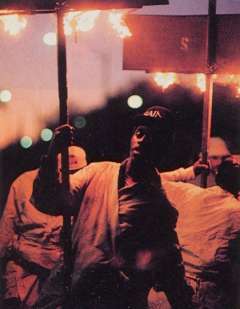 Traditionally held by black men in white robes, formerly they were the only source of light for the night parades. Torch carriers march between the floats, dance sometimes and of course benefit from the "throws" the public couldn't catch. Cheap trinkets thrown to the public by the members of the krewes, who are masked, from the floats of the parade. Some of these gadgets are collected and can be worth a fortune. Advice : come to the parades with a big, huge bag ! NB : the photos and some of the information above were taken from a yearly Mardi Gras publication but I can't remember the references for the Copyright. If you can help... Anyway this publication is protected ! Willy et Bella, my dear friends, wanted to take advantage of the Carnival's days off to go to Mexico. So they rushed, before taking the plane, to the first parades in New Orleans, which begin several weeks before Mardi Gras. Generally speaking, these are much less interesting but fun anyway. Back home, they told me : "You should have seen us, you wouldn't have recognized us ! We were like crazy, we would have done anything for a plastic bead !" Beginning of one of the most famous parades : Zulu. The King of Rex, "King of Carnival"
They had their revenge later, seeing me with several bags full of the same trinkets ! Shout, no, yell "Je suis Belge" to the "riders" of the wagon drawn by the "Belgian Horses" ! You didn't understand ? That's normal. You would have to (1) read the second page, and (2) go to Mardi Gras in New Orleans.